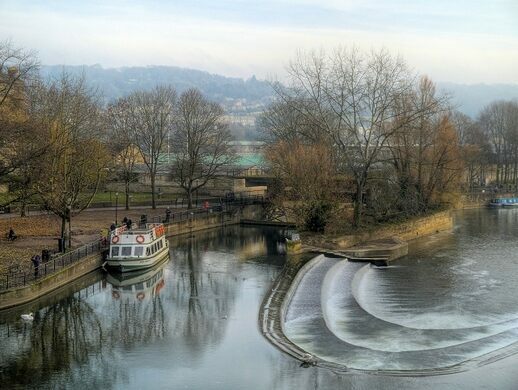 A weir on the River Avon has appeared on maps of Bath, England, ever since 1603. 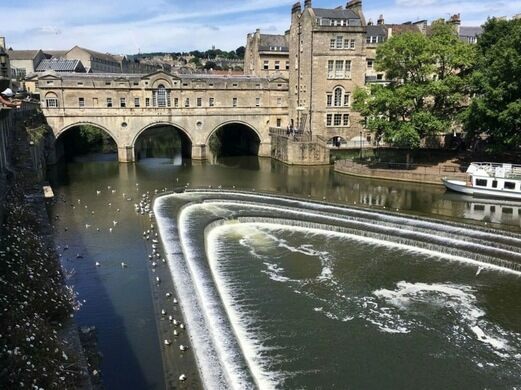 Located just downriver from the Pulteney Bridge, the Pulteney Weir (or just “the Weir” for short) was built in the late Middle Ages to prevent the river from flooding the town of Bath. 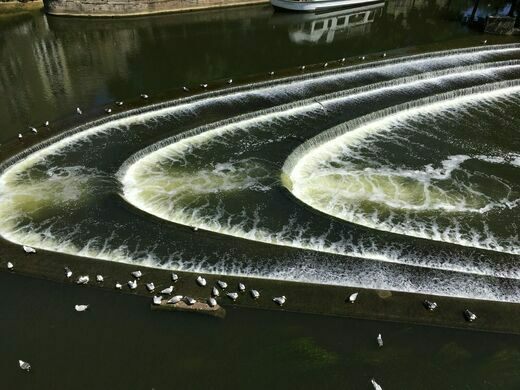 The weir—a low barrier built across a river in order to control water level and regulate flow—was completely rebuilt in the early 1970s and given a more effective and now iconic V-shape design. A sluice and controlled flood gates were also added in the upgrade. 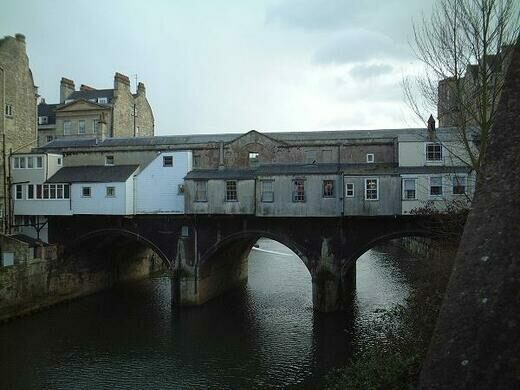 Just upstream from the weir is Pulteney Bridge, constructed in the early 1770s. 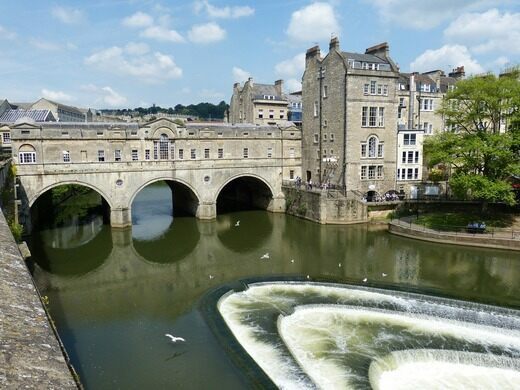 It crosses the River Avon and replaced the need for a ferry. 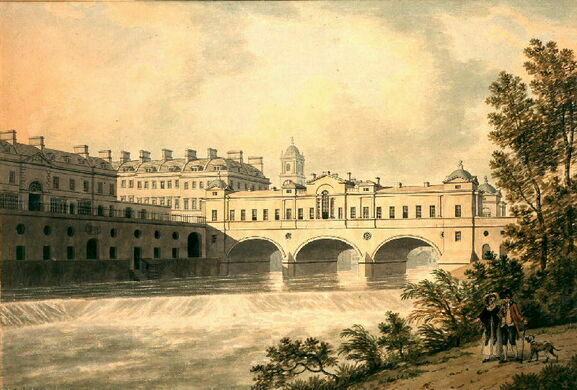 The bridge was designed by Robert Adam and named after William Jonestone and Frances Pulteney. They secured the funding from Parliament, so they named the bridge after themselves. 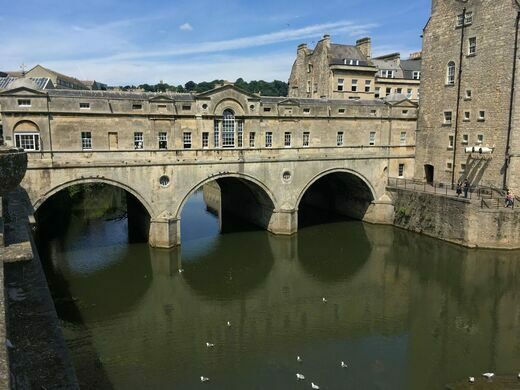 The Pulteney Bridge is one of only four bridges worldwide with shops across the full span on both sides. It’s a beautiful place to walk, shop, and sight-see. The view from above the weir and bridge is breathtaking.